[tps_footer]Aditya Roy Kapur is often asked on his learnings from his upcoming release Fitoor.. While the actor says he has a lot to take away from the personality of his character ‘Noor’, Aditya has also realized the importance of shoes in dressing up. In the film, Aditya‘s character has been shown wearing not-so-good shoes in a part of the film, where he is put under scrutiny by all the people around him, including his lady love Firdaus. 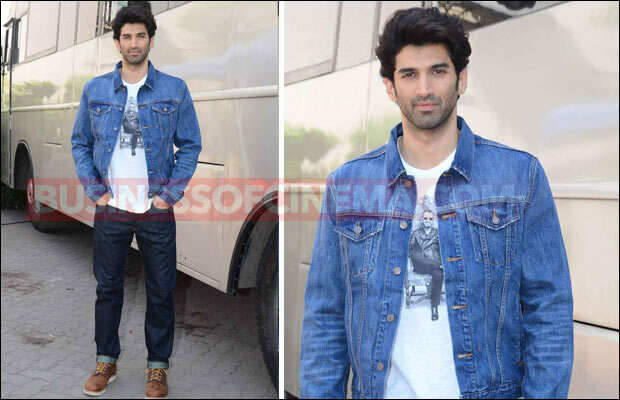 So after Fitoor, Aditya has become more conscious about his shoes. The actor has realized that a lot of people, especially girls judge you by your shoes. Aditya has now started shopping specifically for shoes. He is implementing this change in his personal life and is paying a lot of attention to the kind of shoes he wears. From casual sneakers to the formal black and brown, Aditya is going all out to shop for the best pairs of shoes. The actor is shopping online for these. Next articlePhotos: Sidharth Malhotra And Kajol Team Up!